Aluminium is light, ductile and malleable whilst also resisting corrosion. This makes it an ideal building material in certain situations. Flats can aid bracket connections and frame construction and aluminium is a great metal for this application. Aluminium resists corrosion and therefore is ideal for a vast range of outdoor applications and uses. Aluminium extrusions are perfect for this as they also offer high strength as well as the corrosion resistance. Aluminium flat sections can be utilised to create bracket connections and is used widely in frame construction. In order to strengthen connections these aluminium flats are useful. Aluminium flat sections are useful in frame construction . Aluminium can also be recycled again repetitively due to the fact that unlike other metals, it does not lose its unique properties. These aluminium flat sections will have an extremely long lifespan whilst also being extremely light, aiding ease of use in construction. 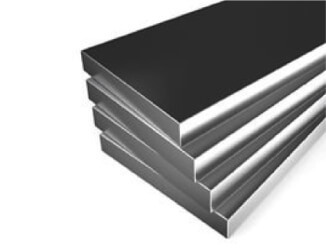 South West Steel offers a wide array of Aluminium products including sections, sheets and bars. If you are looking for these products and wish to see dimensions and prices then do not hesitate to contact us today for a free quotation.